Book reviews, opinions, musings and ramblings. General bookish excitement! I get that there are problematic themes in Blyton’s work. But to me, Enid Blyton is the crux of my childhood. I can’t count the number of times I read The Famous Five series, The Secret Seven, The Adventurous Four, the Naughtiest Girl and so on. They are classic, wonderful, uncomplicated stories that enriched my young life. Melina Marchetta was cool WAY before the amazingness that is The Lumatere Chronicles. 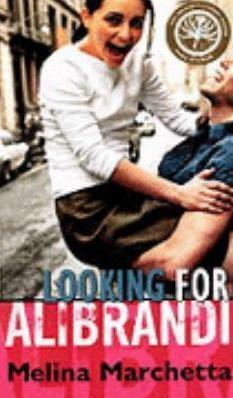 Meeting the insane, loveable, loyal Italian-Australian family at the centre of Looking For Alibrandi is a must. I studied it in high school and EVEN SO I loved it. Tomorrow, When the War Began was the Hunger Games of my generation. By which I mean it was the dangerous book we read that our parents worried was too violent for us. Ellie and her friends have ‘gone bush’ for the weekend and by the time they come home there’s a war on, and all their parents are prisoners. What do you do when your home: everything and everyone you love, is threatened? You fight back. I’m picking this as my favourite Harry Potter, but I love them as a whole series and a whole experience. I think this generation all grew up with Harry, and while I didn’t need him to rekindle my love of reading, J K Rowling absolutely enhanced my teen experience with Harry’s amazing story. Because Tolkien, that’s why. The Lord of the Rings is a brick of a book, a phenomenally imagined world packed with rich, archetypal characters that make it one of the best fantasy novels ever. (“After all this time?” “Always.”) I discovered it as a fifteen year old just venturing into the realm of fantasy reading, and it was love at first read. Albert Camus’ philosophy, particularly The Myth of Sisyphus, is fascinating. I love thinking about thinking, about why things are the way they are, and how they came to be thought of that way. I love the ideas Camus posits in his essays – and I’m not going to go into them here because I’d rather you let his ideas speak to you directly. He does them justice; I can’t! How wonderful is Stephen Fry? Whether it’s his accent, his lovely, slightly hoity-toity mannerisms, or the awesomeness that is his show, QI, there’s a lot to love. The most striking element of Moab Is My Washpot, one of Fry’s two autobiographies, is how brutal Fry is with himself. Not just brutally honest: actually almost cruel. I don’t think he has ever felt like a success. And he seems at best bemused by, at worst flummoxed by his popularity. I have such a soft spot for people who are so much more than they believe themselves to be. Anne Shirley. Who didn’t love the redheaded bundle of energy at the centre of Anne of Green Gables? Growing up, Anne was someone I revisited on more than one occasion. Recently I bought the whole series so I could get my nostalgia on. And I’ll definitely get around to reading them. Soon. 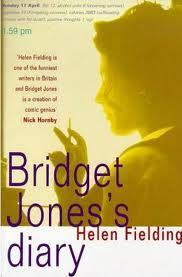 I don’t trust people who don’t like Bridget Jones, as a general rule. This ridiculous, manic, endearing, so-very-relatable woman is one of my favourite book people. I hated her obsession with self help books (SO MUCH). I loved her social ineptitude. I despaired for her ability to be happy. I adored her relationship with Mr Darcy Mark Darcy. She’s the best kind of main character. 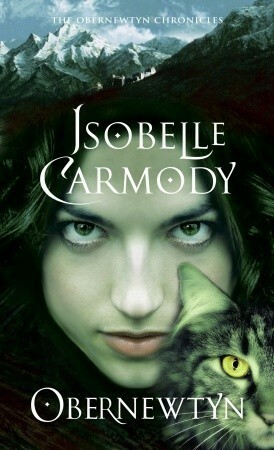 I’d love to hear about the books you loved before you blogged! Link for me, my pretties, in the comments! I read. Lots! I've a soft spot for Fantasy, and I love YA and chick lit as well. This blog is about books I read: I'll try to deliver short reviews that capture my overall impression of the title. Some mentallyunstable for your inbox? By all means!